Did you ever watch Kung Fury on Netflix? If you did, and you thought, “I want to make a Dungeons & Dragons campaign as weird as this movie,” then you’re in luck. Chris Lock and LLuis Abadias have funded Lasers & Liches through Kickstarter, and it will essentially help DMs and players make Kung Fury campaigns. If you provide enough support, you’ll gain access to six new classes and five new races for your 5th Edition game. 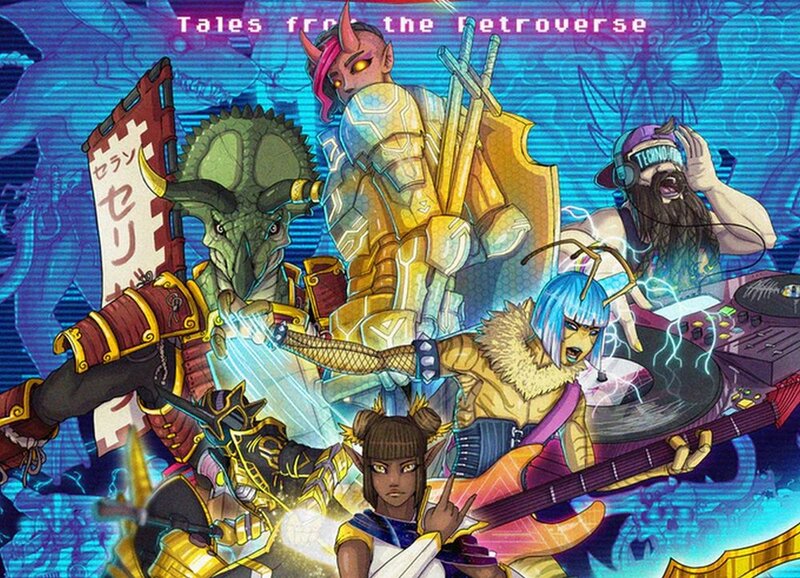 Lasers & Liches takes place in the Retroverse, which is basically a place for you to combine old with new in the weirdest combinations. For example, one of the new classes is essentially a Power Ranger. That means you could have one character be a Tiefling Power Ranger next to a Dragonborn Barbarian wearing only a loin cloth and a Ceran (one of the new races that is like a humanoid triceratops) Synthweaver (another new class that uses keytars). If that isn’t enough to get you interested in Lasers & Liches, there are Laser Corgis. If that doesn’t get you, I don’t know what will. As of writing, the project has far surpassed their goal with $26,818 out of $12,000. In order to get The Player’s Mix or the Game Master’s Beats PDFs, you’ll be out $30 or for $50 you can get both.